Tonight will be the last training session for our Under 12’s group this year. The senior group will continue their trainings until the end of September, however as of next week, trainings will start at 7.00 pm and conclude at 8.30 pm. Please be at the gym ready to help with the mat by 6.45 pm. Congratulations to Koria who competed in the Australia Cup in Melbourne at the beginning of the month and won Gold in the Junior Female 58 kg class. Koria was also awarded the Outstanding Junior Female Wrestler trophy for the tournament. This was a great effort by the team and congratulations to everyone. 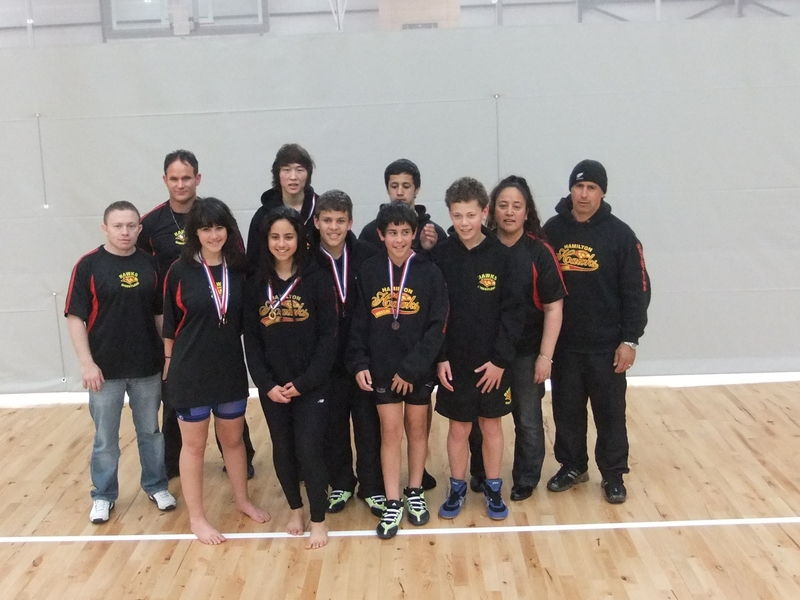 Congratulations to Koria, Matiu, Hone and Misha who have qualified to compete in the Oceanias in Sydney in January 2012. There will be a cultural exchange team travelling to Indiana in March/April 2012. The cost of this is approximately $3,500 which covers flights. All accommodation and food costs will be covered by the hosts. If you are interested in being part of this team, please contact Marlene urgently. We will have a club prizegiving probably in October, but I will confirm with everyone about that date closer to the time. For those who received trophies last year, please return these to Marlene by 15 September so that we can get them engraved for the new recipients. We will start up our season again in February 2012. Again, I will contact wrestlers to confirm the date.